* Business Management Programme : Two year full time residential programme that facilitates learning in theory and practice of different functional areas viz. Economics, Finance, General Management, Information Systems, Marketing, Operations Management, Organizational Behavior, and Strategic Management and Personnel Management & Industrial Relations, to equip the students with an integrated approach to management function and managerial skills. * General Management Programme : One year full time residential programme for Working Executives who have completed minimum of 5 years of experience as on 31st March 2012. * Fellow Programme in Management : The Fellow Programme in Management (FPM) is a Doctoral level (Ph.D.) programme. The FPM is a full-time, residential, doctoral programme that trains prospective scholars to become highly skilled and innovative researchers and teachers in various aspects of management. It primarily aims at preparing students for careers as faculty members at premier academic institutions. * To get admission to XLRI, candidates have to appear for XAT 2012. 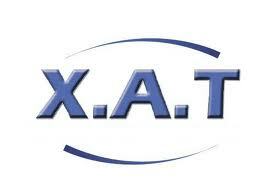 * To register for XAT, candidates have to fill the XAT Form that is available online at www.xatonline.net.in. Once the candidate logs on to this site, a full set of instructions will appear. The candidate can obtain his/her ID and password by following these instructions. This ID and password are to be indicated for all the future correspondence with the XAT Office, Jamshedpur. * The application form to apply for XLRI is available only online at www.xatonline.net.in from 20 September 2011. The candidate has to first register for XAT and use the XAT ID and password to apply to XLRI. Once the candidate logs on to this site, a full set of instructions will appear guiding the candidates to register for admission to XLRI. * For HRM/BM: NRI/PIO/Foreign candidates can apply either through XAT or by GMAT score for the test taken GMAT between January 2009 and 31 December 2011 should register online for applying to XLRI. For online registration visit www.xatonline.net.in. * For GMP: Candidates/All categories can apply either through XAT or by GMAT score for the test taken GMAT between January 2009 and 31 December 2011 should register online for applying to XLRI. For online registration visit www.xatonline.net.in. A candidate may apply for a maximum of three programmes. Those who apply for multiple programmes may be called for multiple interviews and/or group discussions. The selection criteria for different programmes may differ depending on the nature of the programme. XAT written test will have multiple components and you need to maximize your performance in each of these components. In its pursuit of academic excellence, XLRI actively encourages the students from diverse backgrounds. While preparing the short-listed candidates for the interview, in addition to XAT performance, we may factor in academic ability and the relevant work experience. Besides performance in the personal interviews (and/or group discussions) we also consider XAT performance, relevant work experience, academic ability, extra curricular activities etc. while preparing the final list. For candidates who can not be present physically for the XLRI interviews, interviews would be carried out in on-line mode via Internet. XAT 2012 had three sections `Verbal Ability and Logical Reasoning (VA), `Quantitative Ability and Data Interpretation (QA) and `Analytical Reasoning and Decision Making Ability (AR). For Human Resource Management Programme around 650 applicants having more than 92.60 percentile in VA, 80.36 percentile in QA, 84.36 percentile in RA, and overall 95.03 percentile have been shortlisted for Group Discussion and Personal Interview. For Business Management Programme around 550 applicants having more than 90.13 percentile in VA, 91.31 percentile in QA, 90.01 percentile in RA, and overall 98.02 percentile have been shortlisted for Personal Interview. Applicants are responsible for ensuring that their application is complete and all the information provided in connection with their application is authentic and accurate. XAT will be held on Sunday, January 08, 2012 in 38 cities across the country and 4 cities outside India for all the programmes (BM, HRM, FPM and GMP). The XAT Score Card containing the performance of the candidate in XAT 2012 will be mailed individually to all the candidates. The list of short listed candidates for the interview and who subsequently succeed in the selection interviews for admission to XLRI will be posted at www.xatonline.net.in and www.xlri.ac.in.